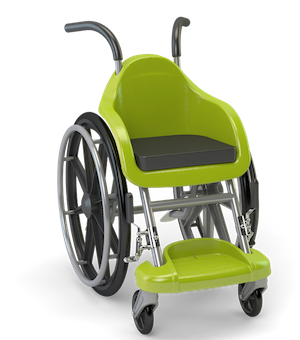 Wheelchairs of Hope has developed a light-weight and affordable plastic wheelchair designed to provide a proper fit and postural support, and to meet the common needs of disabled children aged 5-9 years old. Wheelchairs of Hope is a business-managed, humanitarian social-impact initiative led by a group of experienced entrepreneurs with a social agenda that manufacture and distribute an innovative, leight weight and durable children's wheelchair oriented toward developing environments. These wheelchairs meet the guidelines set forth by the World Health Organization. 20 million people requiring a wheelchair for mobility do not have access to them. 25% are children in resource-poor environments. As a result, most of them will not attend schools or have access to formal education. Wheelchairs of Hope aims to provide mobility to empower children with access to everyday life and education.